Contact the Plymouth Electron Microscopy Centre on emc@plymouth.ac.uk or Claire Pearce, Project Manager, directly. Plessey Semiconductors Ltd is a UK-based leading developer of advanced optoelectronic technology solutions. 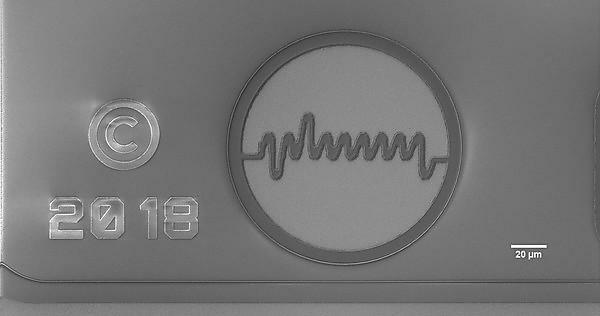 The company provides volume processing of its unique and proprietary GaN-on-Silicon platform for a wide range of optoelectronic devices and systems. Plessey is an award-winning provider of innovative illuminators for display engines and full-field emissive microLED displays for head mounted displays (HMDs), Augmented Reality (AR) and Virtual Reality (VR) systems. With headquarters located in Plymouth, Devon, Plessey operates leading-edge 150mm and 200mm wafer processing facilities to undertake design, test and assembly of products, and has a comprehensive suite of photonic characterisation and applications laboratories. Plessey was the first SME to benefit from 30-hour support within PMCP. Below are three case studies that were undertaken on PEMC FIB-SEM. Please follow the links on each case title for further information. Micro LEDs have to be bonded to a CMOS back plane in order to control individual pixels on a display. The bonding has to be accurately aligned, providing low resistance anode and cathode contacts between the CMOS back plane and LED display. Early trials through in-house imaging by a single sourced FIB microscope at Plessey did not deliver the expected outcome and could not reveal the material issues. Read the full case study to find out how PEMC FIB-SEM helped. Occasionally, pixels in LED chips are found unfunctional after the manufacturing process and have been precisely located by function testing. An in-depth investigation is necessary in order to find evidence for the root cause. Cross-sectioning by FIB and high-resolution SEM imaging are capable of delivering the material issues at hand, read the full case study to find out how this analysis has been carried out. The existence of faults in between the built layers on silicon wafer would compromise the quality of the LED chips and cause a malfunction in a worse scenario. Conventional SEM imaging on the surface cannot reveal these potential imperfections under the surface. FIB-SEM offers the capability of live monitoring by SEM during material etching by FIB, which permits the user to stop milling once faults or other features are exposed.